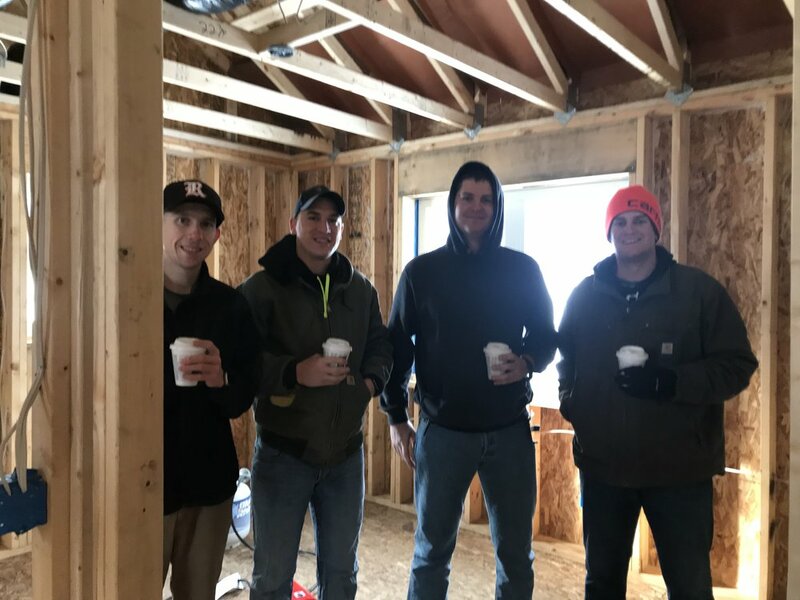 Last Saturday some of the Ferris Construction and Criminal justice students came out to volunteer. They were able to install baffles in ceiling in preparation for the insulation. The siding was installed and almost done. On the 17th insulation will be blown in. Lots of progress thanks to our contractor and all our hard working volunteers! Thanks everyone!